Physician Bess Codman has returned to her family’s Nantucket compound, Cliff House, for the first time in four years. Her great-grandparents built Cliff House almost a century before, but due to erosion, the once-grand home will soon fall into the sea. Though she s purposefully avoided the island, Bess must now pack up the house and deal with her mother, a notorious town rabble-rouser, who refuses to leave. 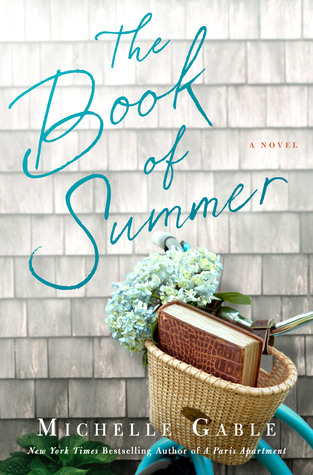 I enjoyed and would highly recommend “The Book Of Summer” By Michelle Gable. The genres of this book are Historical Fiction, Women’s Fiction and Adult Fiction. I like the way that Michelle Gabe describes the opulence and elegance of the Cliff Mansion in Nantucket, and the history of the family that has lived there. The timeline is in the past, and in the present, In the present, Cliff House is in danger of falling into the sea. Erosion and storms have caused this disaster waiting to happen. I love the author’s accounts of the summers and quaint town. The characters are complex and complicated. In both the past and present, there are secrets. In the past the family was dealing with the effects and complications of World War Two. In the present, the family is dealing with the devastation of losing their beloved home with so many memories. I appreciate that he author did the research of erosion. The author also describes strength and weaknesses of the characters. The author also brings up relevant topics of being gay and the military,different types of marriage, abuse in marriage, and fighting in what one believes in. I find that the author shows us the importance of family, friendship, forgiveness, hope and love. This is not only a summer read, but a book that you can enjoy all year long! !